In-recruiting supports your complete recruitment process, from posting job vacancies to making the final job offer. It connects you to the leading free job boards, helps you capitalise on social media, and streamlines candidate selection, so you can find the people you need faster and more effectively. In-recruiting has flexibility at its core, so you can align it with the recruitment approach you want to take, whether that’s a simple CV upload or a questionnaire-led application process. You can set up as many job vacancies as you want; define different application processes for different roles; choose where your vacancies should appear; publish vacancies in different languages on different sites and much more. Posting the latest job opportunities on your own website or dedicated careers page is easy. You’ll have the option to either embed code generated by In-recruiting on your existing career pages, or take advantage of the system’s career page builder to quickly and easily create your own company-branded pages. The system then automatically publishes – and removes – the vacancies you’ve created using your specified dates. You won’t need to worry about out-of-date listings or waste time on manual maintenance, and republishing vacancies or extending expiry dates is simpler too. Automatically post vacancies on your website, to a host of free job boards, or share on social media. As you progress candidates through your selection processes, the system will automatically trigger the relevant email messages, perhaps to invite them to complete a questionnaire, attend an interview, or let them know that they’ve been unsuccessful this time. Interviewing managers can review applications and provide you with feedback online, interview calendars are easy to see and everyone benefits from a much smoother and more visible process. 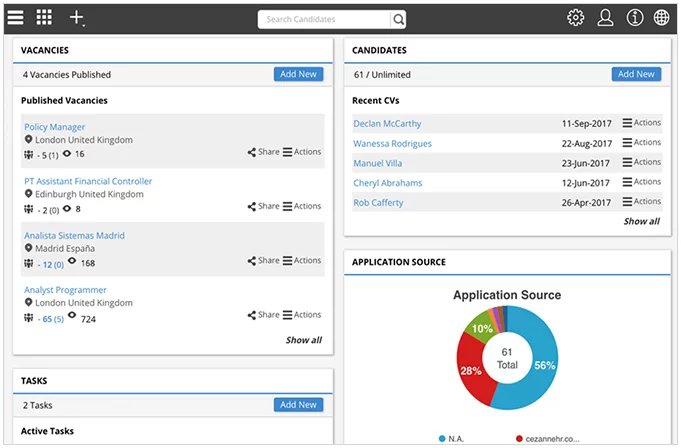 Since every job application through In-recruiting goes directly into your candidate database, you’ll have a single, searchable candidate pool at your fingertips. You’ll also be able to tag CVs to enable faster searches, set up alerts when new applications match key criteria, track key metrics like time to hire or time to fill, review which recruitment sources are working best for you and keep an eye on overall recruitment costs. With In-recruiting, privacy statements are easy to keep up-to-date, candidate consent can be requested and tracked and you can configure data retention policies to help ensure candidate data is deleted or anonymised in line with legislative requirements and your own company policies. Contrary to what you might think, employees don’t often jump at the prospect of moving abroad. So if going global is a priority, what can you as an employer do to ensure you get the right talent, in the right place, at the right time? Research suggests that 47 per cent of people are looking to move jobs this year, with one in five actively seeking a new role right now. Losing a key employee at short notice can be disruptive, so how do you go about recruiting new staff quickly? Think you can’t compete with the big boys when it comes to hiring the best graduates? Well, graduates are looking to SMEs for work more than ever before, so here are some ways you can use this to your advantage and attract top talent.